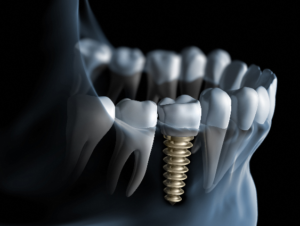 How Much Do Dental Implants in Millburn Cost? When you look in the mirror, does your focus instantly turn to the gaps in your smile from tooth loss? Do you miss eating your favorite foods because they have become too difficult to chew? You are not alone. In fact, the American College of Prosthodontics estimates that more than 120 million adults in the United States are missing at least one tooth. To fill the empty space, more than 500,000 people each year are turning to an option that offers over a 95% success rate. With dental implants in Millburn, you can regain the next best thing to your real teeth; however, before you are ready to commit, you are concerned about their cost. To help understand how much you can expect to pay for your new smile, there are several things that need to be considered. Comments Off on How Much Do Dental Implants in Millburn Cost? Our friendly Millburn, NJ dental team can’t wait to welcome you!